Steven Young is a senior Consultant Neurosurgeon at the National Neurosurgical Unit, Beaumont Hospital and The Hermitage Medical Clinic, Dublin, dealing with disorders of the brain and spinal cord. A graduate of the University of Edinburgh Medical School, he trained in neurosurgery at the Southern General Hospital, Glasgow, Atkinson Morley’s Hospital, London and the National Neurosurgical Unit, Dublin. A proponent of Microscopic Minimally Invasive Spinal Surgery he has extensive experience of surgery on the Cervical and Lumbar Spine for tumours, degenerative disease, disc prolapse and stenosis. 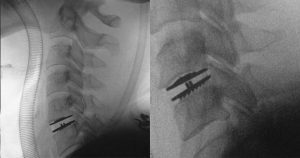 Minimally Invasive Surgery has considerable advantages over traditional spinal surgery: incisions are smaller and there is less disturbance of normal soft tissue leading to considerably shorter hospital stay, more rapid recovery and earlier return to work.